Posted February 18, 2014 by Eric Graham . As with all social media platforms, your main goal on Twitter should be connecting with your customers. Answer their questions, respond to their praise (or complaints), post links to industry articles your customers would find interesting, thank them for being a customer, etc. 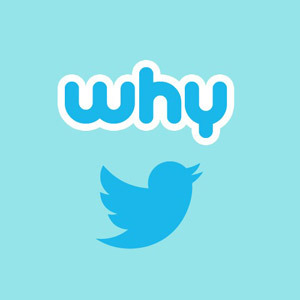 Photos are also becoming more important on Twitter, especially considering their experiment with a more visual timeline. Just remember, Twitter has a character limit of 140 characters, so you have to be to-the-point in your tweets. Twitter is great for connecting you with other local businesses or even large brands you’re fond of. Is there a restaurant your employees frequent? A fellow small business around the corner? A brand you love? Follow and interact with them on Twitter! The more interaction you have with other companies, the more likely they’ll follow you back and share your content. Engage with and share the content of others in your industry, especially industry leaders or brands. Being aware of and taking advantage of their expertise lends you credibility and may help you grow your own expertise. Twitter users are hungry for information. If you’re not providing it to them, someone else is, so the time to start tweeting is now. If you’re not sure how to get started or want to learn about other social media platforms and how to leverage them for your business, contact us today. AMG offers a variety of social media services that can be customized to the needs of your business and industry.